The preamble of the Immigration Act provides that the Act aims to ensure that visa applications are processed speedily and without consuming excessive administrative capacity. A lot of words can be used to describe the process of acquiring a General Work Visa but speedy and less administratively burdensome are words that do not come to mind at all. For all the noise about unintended consequences of the new immigration amendments, perhaps the most outcry is coming from those affected by the stringent requirements of the General work visa. The involvement of the Department of Labour has rendered the application of the visa near impossible. This has seen the numbers of applicants for General wok visa`s drop significantly and the number of these visas issued is even lower. The new system has a number of challenges and is riddled with a number of delays in processing at every stage. It is what can be best explained as the best of bureaucratic inefficiency. Under the new system employers of would be applicants are expected to get a labour certificate from the Department of Labour (DoL) confirming that the employer has conducted a diligent search of the local labour market and has been unable to find an individual with the same or better skills or qualifications as the foreign national . In addition the DoL must confirm that the employment conditions and salary offered are in line with labour laws and industry standards respectively . Whilst these sound like sound steps to be taken to ensure that every effort is made to employ a citizen , the problem comes about in the manner in which the DoL is approaching the assessment of these applications. The DoL has a list of 15 requirements, which move from being reasonable to a tad unnecessary. What is becoming clearer is that there seems to be a misunderstanding on the part of the DoL as to the role that it should be playing in this process. Firstly the requirements for the Labour Certificate are very much the same as the requirements for a Corporate Work Visa. I believe this where the problem starts, it makes logical sense for a large corporation seeking to bring in 20-50 foreign employees at one go to prove that it has made every effort to exhaust the local labour market and prove that there is a real need for the 50 foreign employees to be come into the republic and work on its operations. Such an organization must certainly draw up a skills transfer plan , prove that it has spoken to sectorial bodies, community leaders and list the job opportunities on the Employment services database and try to match the job description with candidates listed there. However the same standard cannot be applied to a restaurant that wants to employ to services of a gourmet chef , or lifestyle company wishing to employ the services of a dietician. Section 3 (1) of the Immigration Act provides that the powers conferred to the Minister to make regulation under section 7 cannot be delegated to any category of persons in the Public Service. Listed as an exclusive Ministerial power is the making of regulations that determine “ the steps to be taken to ensure proper exploitation of the local labour market before a work visa is issued in terms of section 19 “ . By passing on that responsibility to the DoL it may very well be said that such action amounts to an unlawful delegation of power in violation of Section 3(1). This may very well be a ground to challenge the extent to which the DoL is involved in this process. Perhaps what ought have been done was for the Minister of Home Affairs to come up with a list of requirements and then forward this list to the DoL instead of leaving it up the DoL. The challenge with latter process is that , due to the different mandates and objectives of the two Departments , DoL would never been in a position to look at applications from foreign nationals for work visas objectively. Especially given that the DoL lists as one of its functions as creating employment for the South African Citizens. Limiting the number of foreigners issued with a General work visa would certainly contribute towards achieving that goal. Another problem with the new system is that the process is inefficient and takes such an inordinate amount of time to be completed. The DoL states that the process will take up to 30 working days to be finalized however experience has proven this to be further from the truth. Applicants have had to wait for months before receiving the notification that the process ahs been finalized. There are cases where applicants have had to wait for more than 6 months for the labour certificate , which they do not get sight of , but only receive a decision from Home Affairs echoing what ever is listed as reason by the DoL. It is doubtful that the Department has the requisite manpower needed to process these applications speedily . This process ,it might be added, is done whilst an applicant and the employer are waiting ,with the applicant sitting outside the republic and the employer unable to carry on with the operations and much needed skills. A common misconception by many is that the General Work Visa is reserved for those foreigner who are semi skilled or performing unskilled work. This cannot be more further from the truth. The visa is for those qualified and. /or skilled individual who do not fall within the critical skills list but are still required in the country. An example of these are the University Lecturers, and Math and Science Teachers whose absence on the Critical skills list has left many wondering especially given the need for the qualified and skilled teachers in this field. 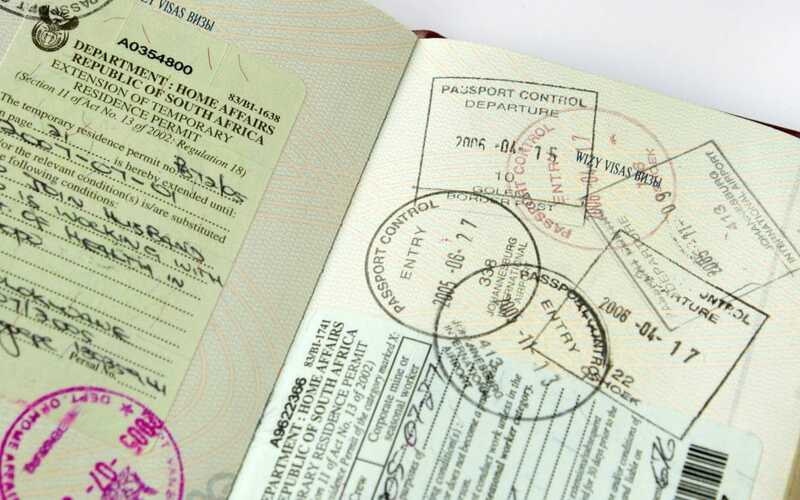 Many of those who held quota work permits under the old regime are now falling to apply for the General work visa due to the requirements and slow process which often leads to people overstaying their visas before thy apply for a new one. With the visa regulations constantly being reviewed one can only hope that a review of this particular work visa is on the cards. The process needs a few amendments or the very least proper guidelines for the Department of Labour to follow. A potential avenue followed by many is to apply for a Wavier in terms of section 31(2)(c ) wherein the Minister my waiver certain prescribed requirements on good cause. For those seeking to renew an existing general work visa another avenue seems to be available under the transitional provisions. Section 53(2) does provide for renewing a visa issued under the previous Act in terms of the previous Act. There is even a provision to waive the requirement to submit a new application all together. The trouble however is that the Transitional provisions seem to apply the Aliens Control Act 96 of 1991, however given that the complexion of the current Acts is significantly different as compared to its predecessor, Act 13 of 2002, it is arguable that the transitional provisions should be extended. The constant tweaking of the regulations indicate that there is a real need for such transitional provisions to aid in the seamless implementation of the new regime.